If you have just purchased a new home, more than likely you are overwhelmed with a mountain of problems you previously had no idea even exited. Letting your house fall into disarray can cause a number of problems. For one, small issues in a home tend to lead to larger issues. A small leak could cause water damage could cause issues with your foundation. It’s a slippery slope you don’t want to go down. The most uncomfortable of homes is one that is too hot or too cold. Thankfully, many times when your air conditioning or heater isn’t working, it’s often just a problem with the filters. Set a reminder to change your filters as often as their manuals insist they change. As an added measure, it might be a good idea to keep several extra filters on deck so you won’t forget to do regular maintenance. All houses make noises. It’s just a fact of life. Older houses tend to make more noise. Haunted houses make a ton of noise…but that’s a lot more difficult to fix. 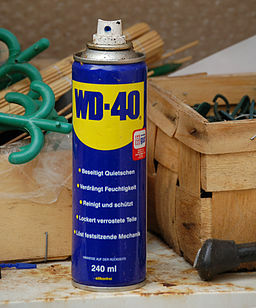 Thankfully, your best friend for anything that squeaks, bumps, or just generally makes noise, is a can of WD-40. If you’ve never heard of WD-40, go out and buy yourself a bottle, but be ready for the most amazing invention your eyes have ever seen. WD-40 works perfectly and making things move smoother than they already do, which can fix stuck screws, help open pipes up, and yes, remove that awful squeak from your garage door. You’ll finally be able to sneak back into your home just like all those teenage years! Sometimes, you will be locked out of the house. Maybe you will just misplace your keys one night. 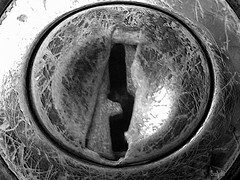 Things happen, and when they do, you should be prepared and know how to fix broken locks. If the lock is cheap enough, you should be able to just jimmy it. It sure sounds sketchy, but it can work wonders, and save you from having to call a locksmith! To accomplish this, simply get something hard and thin – usually a credit card will do the trick. Find where the actually locking mechanism is, and simply move your card up and down pushing against the mechanism. If you’re lucky enough, you’ll hear a snap, and the door will push open. But not ever lock will fall for that. If jimmying doesn’t work, you can always try to pick your own locks. All you need is a hairpin and a flathead screwdriver. Apply pressure inside the lock, turning it to the right, with the screwdriver, while pushing up a lock’s pins with the bent hairpin. Get all the pins up while applying the appropriate amount of pressure and the lock will pop right on open. 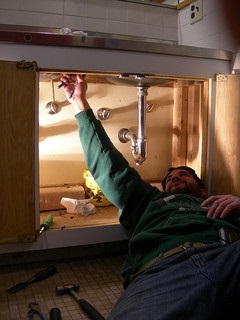 Plumbing can be a difficult issue to solve on your own, because there are so many possible sources for the problem. It may be pipes. It may be your water pressure. It might even be something completely out of your control. 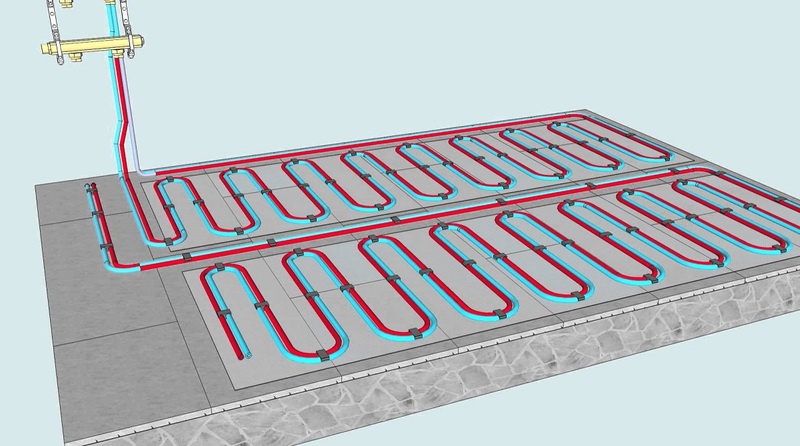 Thankfully, you can quickly do a couple simple tests to learn more about the plumbing issue. First, check all the sources of water in your home. If water is odd on the second floor but not the first, then clearly there is an issue in the connecting pipes between the first and second story. If water is off all around your house, try consulting your neighbor or your local sewage and water board to see what the problem is. While a city-wide problem isn’t necessary easy to solve, it does at least allow you peace of mind knowing there is nothing you can do to fix it. In this way, it’s similar to a boil-water advisor. And just like those situations, if you want to be better prepared next time, all you need to do is outfit your pipes with some home water filtration systems. The right system will filter the water before it comes out of the faucet for you, freeing you from the concerns of lead and rust materials going into you and your families bodies. They are easy to install and should save you a handful of money in the future. Yes, with the right knowledge and materials available to you, you can easily fix many of the smaller issues that occur in your first home. But if a bigger problem, for example a collapsed foundation, or perhaps a termite infestation come into play, then it’s time to give up. Fixing your home can make you feel proud and in charge. But with some things, it may just be easier to call a professional. It’s their job, after all!